Barny has worked as a consultant Orthopaedic surgeon at Airedale General Hospital since 2005. He has a busy NHS knee practice which has enabled him to develop his surgical skills in all areas of knee surgery. He qualified from Bristol University in 1991. His specialist orthopaedic training was completed at hospitals in Yorkshire and he was appointed a fellow of the Royal College of Surgeons in 1995. 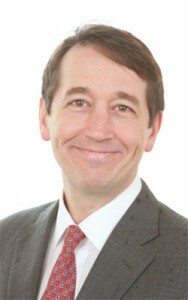 Barny completed a fellowship in knee surgery at Wrightington Hospital for special surgery in 2005. This enabled him to gain expertise in different aspects of knee surgery. He divides his time between his NHS commitments and private practice at the Yorkshire Clinic specialising in all areas of knee surgery.